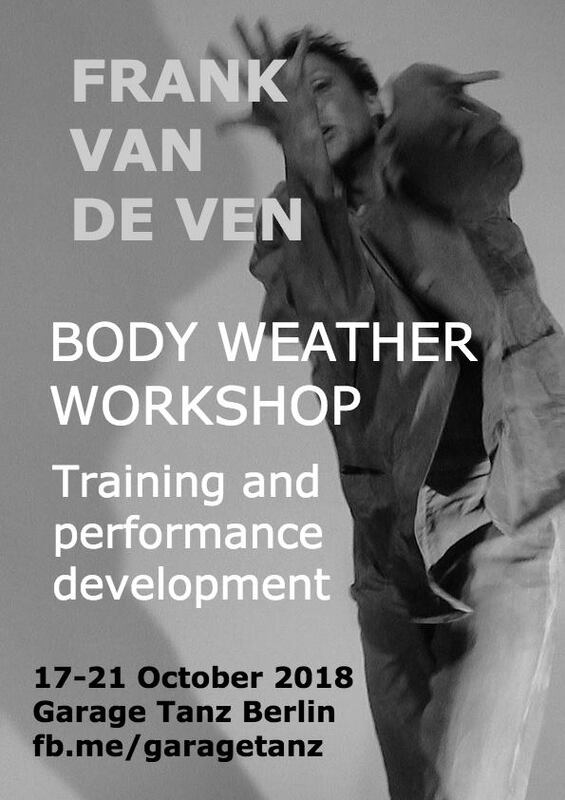 This workshop is a great opportunity to work with Frank van de Ven, an enduring and vital proponent of Body Weather. Body Weather is a comprehensive approach to training and performance that investigates the intersections of bodies and their environments. Bodies are conceived not as fixed and separate entities but as constantly changing – just like the weather. Weather is seen as a complex system of forces and influences coursing through and beyond bodies and the world. As a training, Body Weather is of relevance to anyone interested in exploring the body and physical presence and this workshop is suited to dance, theatre & movement practitioners and artists of varied backgrounds. In the afternoon we all work on our own performances. This can include movement, text, images and objects. Exchange between participants is part of the process as well as guidance and feed-back by the workshop leader. 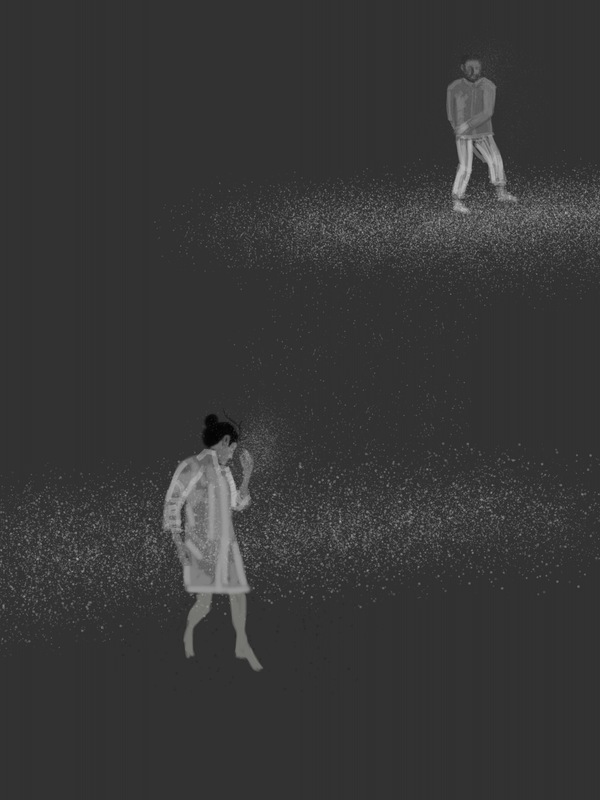 On the Sunday evening, the work in progress will be shown (not obligatory) to an invited audience. Performance: Sunday 21 October at 17h in the studio. Die Garage ist ein Zusammenschluss diverser Künstler*innen, die im Bereich der darstellenden Künste arbeiten und auf dem Gelände der Fahrbereitschaft seit einem Jahr gemeinsam und individuell schaffen. The instant choreography series „15 Minutes” is thought to be a cosy event for performers to get to know each other and exchange with the audience their personal understanding of the idea of instant choreography within a 15 minutes improvisation. Each participant can decide what topic, tool or format to use: no further curatorial frame is given besides indeed the time frame. In this way practitioners coming from different disciplines can open up their process or simply explore tools or improvisation-strategies in front of an audience in a relaxed and playful way. The event takes place in the collective space GARAGE in Lichtenberg, inside the Fahrbereitschaft compound and will be held every second month. The artists will be invited to exchange and warm up in the space three hours prior to the event and can decide on the spot how they want to present their performance, possibly choosing spontaneously for a duet, a solo, or a group improvisation as well as deciding for the evening schedule with the other participants. A basic light setting and sound-system is available. The first of this event-series will be 15th March. Starting at 20:00 in GARAGE involving members of the collective GARAGE and Guests. 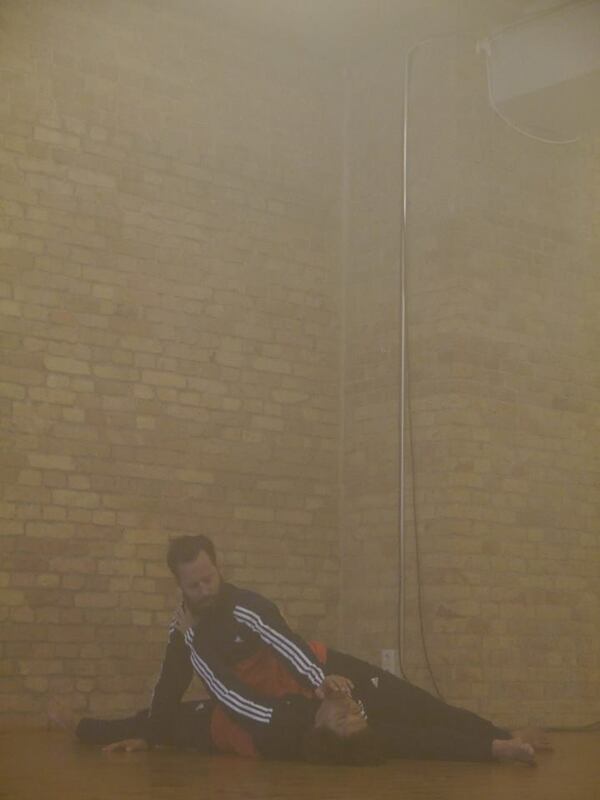 This time performing: Maria Walser, Dave Hall, Saskia Oidtmann, Heini Nukari and Julia Ketzmerick. 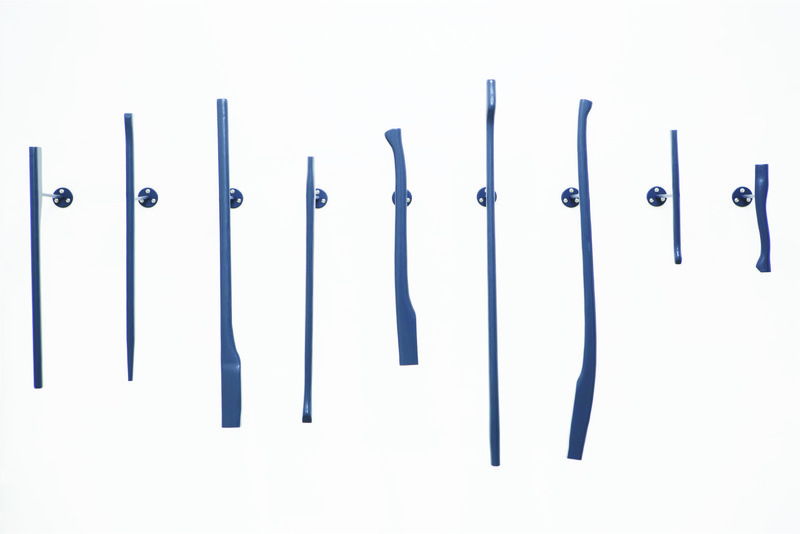 Duration of the event, approximately 1½ including a break. Suggested donation of 5 euros that will go directly to the artists. Please write short (one page max.) about your interest in wanting to open up your practice through improvisation, e.g. what research you are on at the moment, if you have already taken part into impro-events and what is you relationship to improvisation regarding your work. As part of the 10, Lange Nacht der Bilder, Garage is going to be opening up, sharing performances and showing the new space.